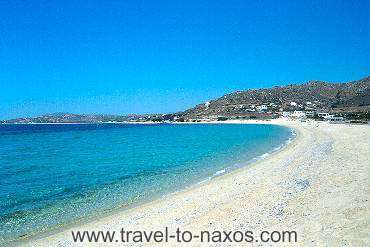 Mikri Vigla lies 18 km from Naxos town and it is considered one of the most famous beach resorts. It is actually comprised of two beaches separated by an impressive hill. 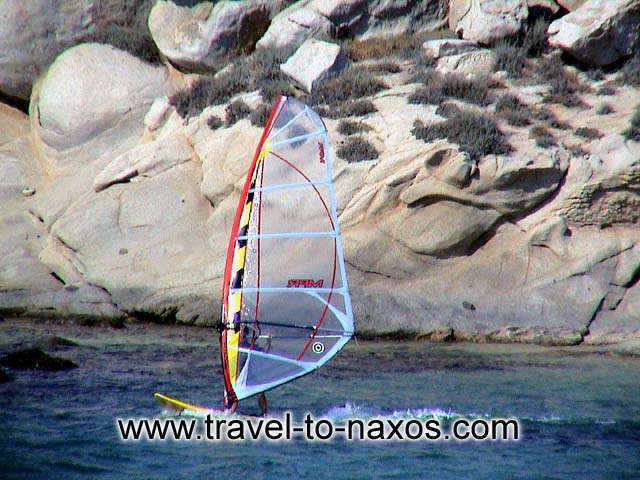 Mikri Vigla is a unique resort for windsurfers due to the meltemia winds (local Cycladic winds that blow only during the day light from June till August in the Cyclades). The North part of the beach is where you will find that type of wind. If you prefer relaxing and swimming, then the south part of Mikri Vigla is the place to be. A windsurfers paradise! The south part of Mikri Vigla is an endless sandy-covered beach with fantastic crystal water colours, protected by the meltemi winds. 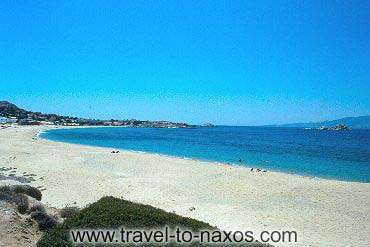 It is a quiet family beach lined by a unique taverna offering quality food.